Most children and adults have experienced a fluoride treatment many times at their dentist’s office prior to their first visit to an orthodontist. 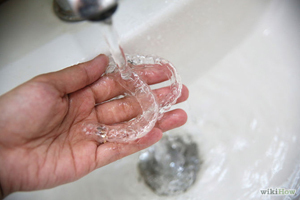 Fluoride helps protect teeth from tooth decay. 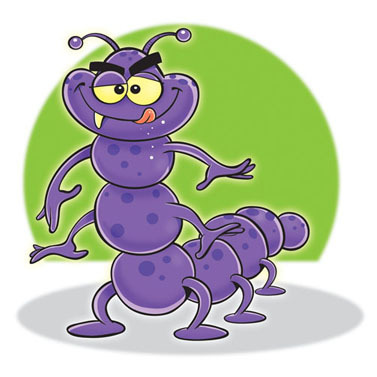 It is most effective when it is used prior to decay forming, but it can also repair decay in the beginning stages. Fluoride continues to be beneficial to your teeth while your are in orthodontic treatment. It is one element, that in addition to brushing and flossing after every meal will make that smile of yours even more beautiful when your braces are removed. Fluoride treatments continue to protect against tooth decay while you are in braces and can also aid in preventing white spots, or decalcification, from forming around your braces. While in treatment fluoride mouthwashes, antibacterial rinses and toothpastes may also be added to add additional protection. At Reagin Orthodontics, your complete dental health is important us. We will talk to you about how to care for your teeth and braces at each appointment and will recommend additional fluoride and other items as needed along the way. Learn more about the benefits of fluoride in our previous posts here and here. You can also find out facts about fluoride from the American Dental Assoication. Is Wearing Your Retainers Really Important? 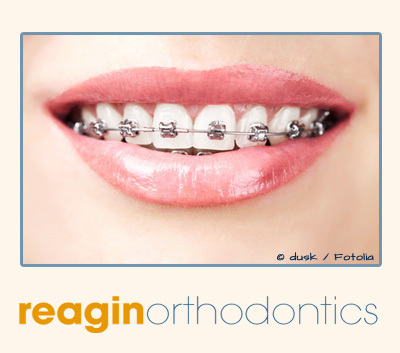 You have diligently cared for your teeth and braces the entire time you have worn your braces. You are excited that today is the day they will be removed! What’s next you wonder. Now you need to maintain that beautiful smile and that involves wearing retainers. 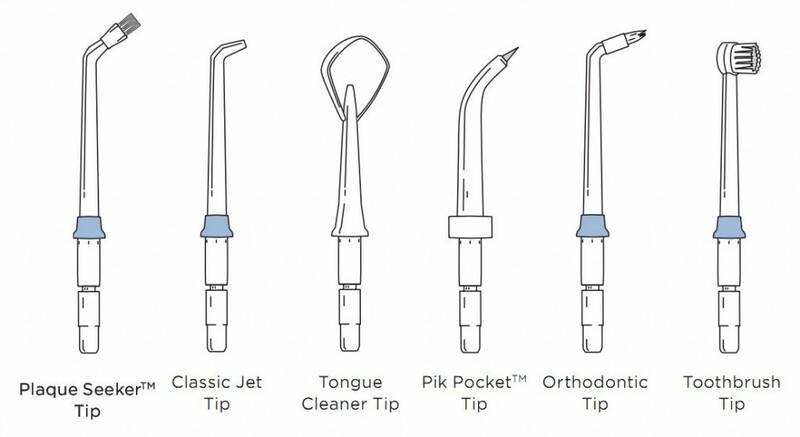 Impressions are taken to make molds specifically for your mouth, then retainers are made from those molds to keep your teeth in place. Wearing your retainers and taking care of them is just as important as caring for your braces. When you eat, remove your retainers and put them in their case. Do not put them on a lunch tray or in a napkin, that is the way most retainers are lost because they get thrown away! 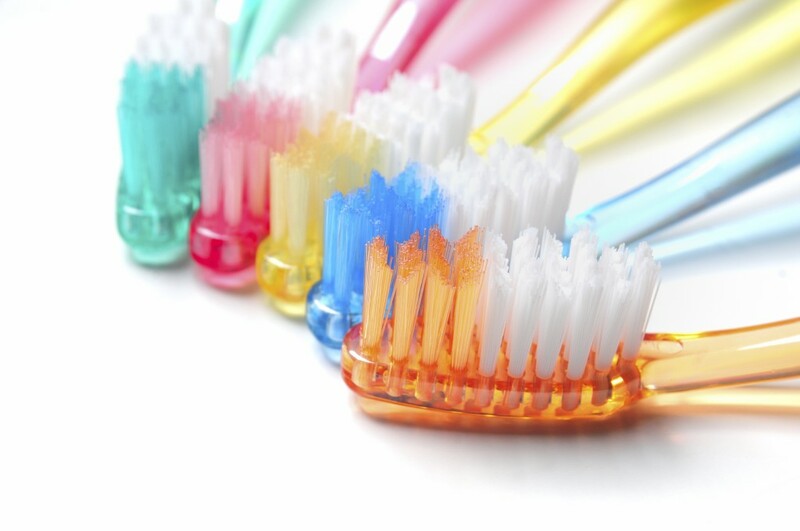 Brush your retainers with warm water and toothpaste. Take them out and really brush them. Plaque builds up on them. You want to remove the plaque which will also help to eliminate odors. 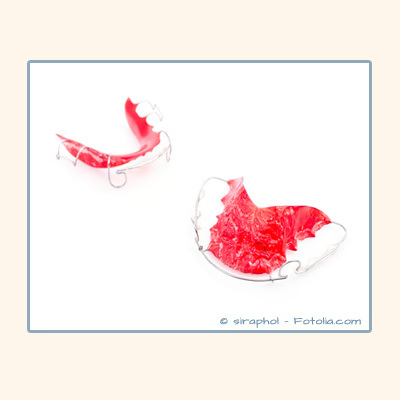 Retainers are breakable so always place them in your retainer case when they are not in your mouth. Retainers should not be worn when swimming, should not be put in hot water, left in hot cars or on car dashboards or stuffed in your pockets. Caring for your retainers and wearing them regularly will keep you proud of your smile for years to come. If something does happen and you need new retainers, Dr. Reagin can make you a new set, but it is expensive. If you are worried about losing or breaking your retainers it is a good idea to take advantage of the discount we offer all our patients at debonding. You can buy a second set at the same time as your first set for half price. This offer is only available at debonding because the same mold can be used and a new mold does not have to be made. 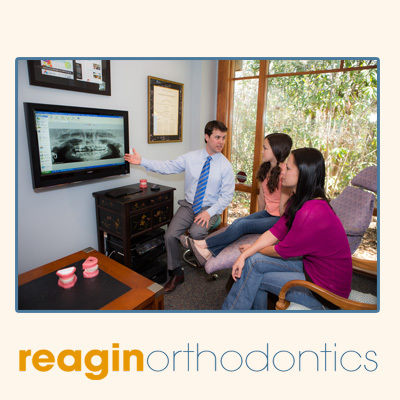 You scheduled the consultation and today is the day you meet with Dr. Reagin for the exam and evaluation. We’ve talked about what happens at a consultation here, but are you wondering what questions you might want to ask? Dr. Reagin and his staff will cover these top five questions during your initial visit. You may want to ask a few additional questions to put you or your child at ease about starting orthodontic treatment. Here are a few questions and answers that you may want to to talk to the team at Reagin Orthodontics about. How much discomfort? Everyone always wonders how much it will hurt and that is completely understandable! There is typically not a great deal of pain involved in orthodontic treatment, but there is discomfort. The team at Reagin Orthodontics will suggest ways to minimize discomfort including using wax, pain relievers such as Tylenol and Advil, and more found here. How do I brush? It is very important that you brush after each time you have a snack or meal. It is very easy for food to get trapped around braces. 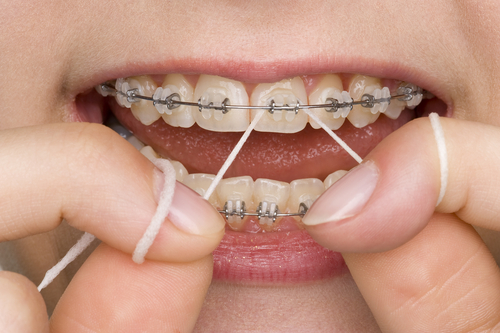 Dr. Reagin will show you how to brush and floss with your braces. There are even special brushes and flossers to help. How often do adjustments happen? While it is difficult to say exactly, visits typically happen every 4-8 weeks. Are there foods I should avoid during treatment? Yes there are some foods that are better left alone until after you have completed your orthodontic treatment. These include sticky foods, hard raw vegetables and chewing ice. Once you have begun your treatment plan, we will go over this with you in more detail. Will my speech change? Some patients experience a little bit of change to their speech when they first receive braces, but this is typically gone as soon as they adjust to having braces. Which is much quicker than you think it will be! We look forward to seeing you at your consultation and will be happy to answer any questions you have!